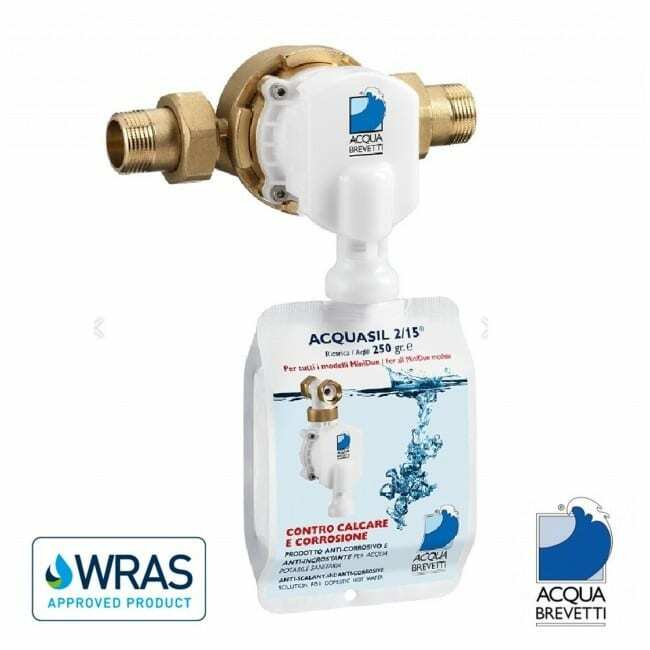 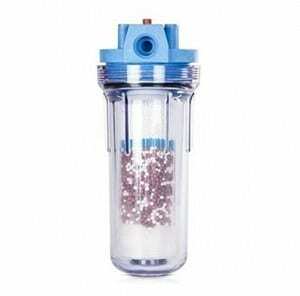 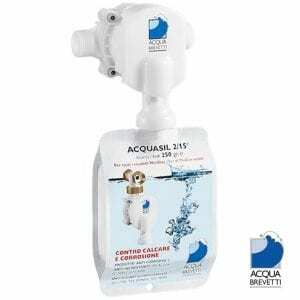 The Acqua Brevetti MiniDUE ¾″Liquid Water Softener is a compact volumetric proportional mechanical dosing pump water softening system designed to fit onto ½″’ (15mm copper or speedfit) pipes. 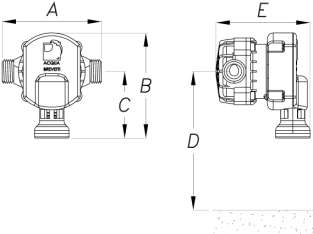 The system simply fits onto the rising main pipe or any pipe supplying a particular device, such as a boiler. 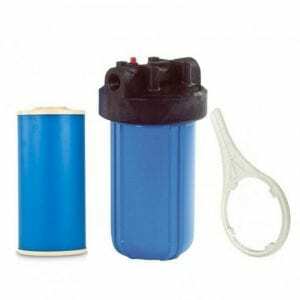 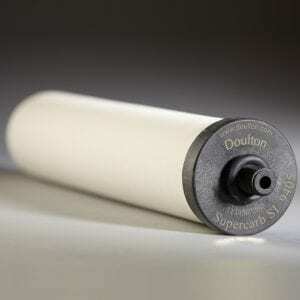 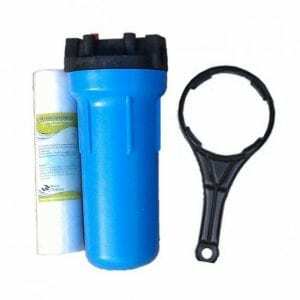 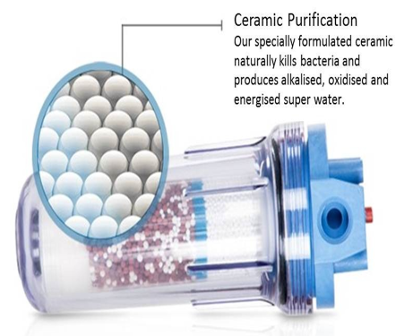 The MiniDue is an eco-friendly alternative to a water softener as no water is wasted; as softeners uses thousands of litres every month to regenerate the resin – there is no need with this innovative and space saving device. 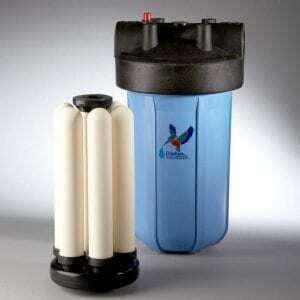 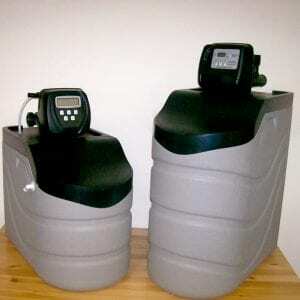 It also uses no electricity and overall the system is a great innovation in the water treatment industry.